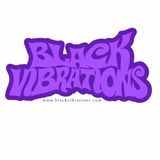 Black Vibrations is a dj&apos;s crew based in Bari (Italy) . They collect and play funk, soul, rap, jazz, bossa records from the present and from the past. They&apos;re BUG&apos;s resident dj&apos;s, the one night dedicated to black music, during which they host dj&apos;s and musicians such as Ronny Jordan, Mo&apos; Horizons, Grandmaster Flash, Bobbito, Afrika Bambaataa, Quintetto X & Rosalia De Souza, Link Quartet, Baker Brothers, Sandra St. Victor. Sometimes they like to play with samples, acapellas, beats and records: you can find the results of this music game on this page.